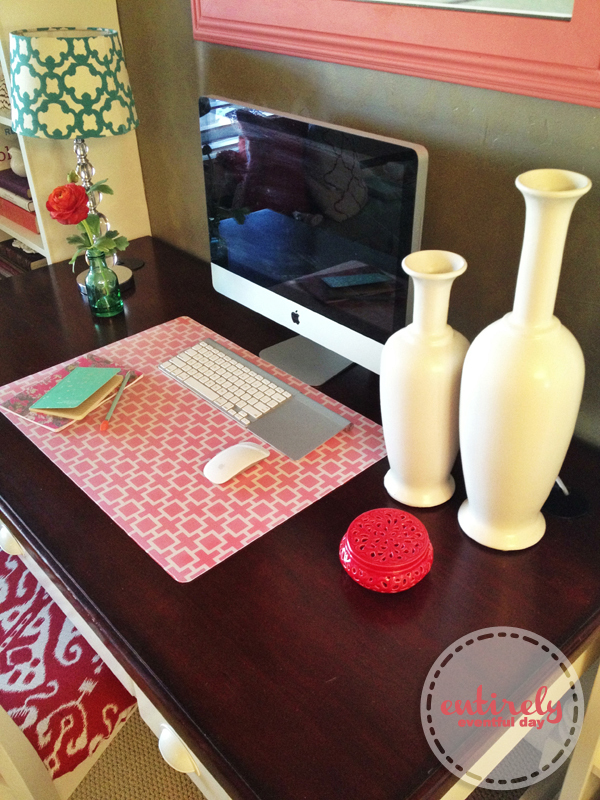 This beauty cost me about $8 to make and it makes the biggest difference in my office. 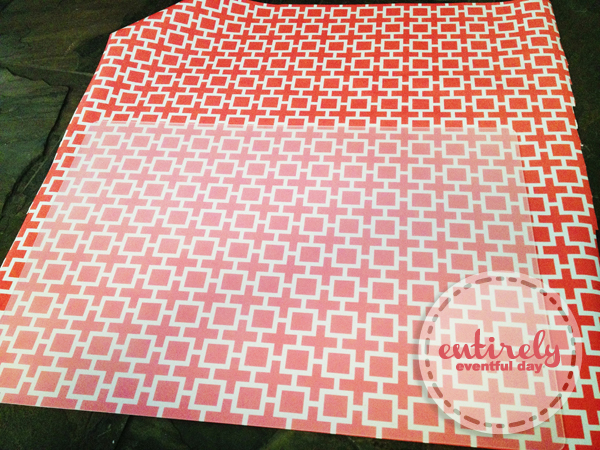 My favorite thing about it is when I get tired of the pattern all I need to buy a new roll of wrapping paper! MY OFFICE IN A BOOK! 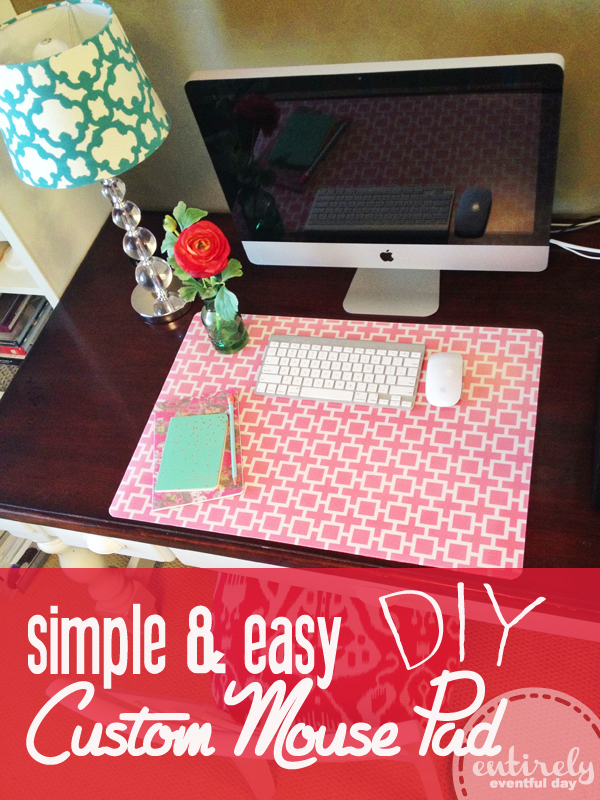 Start with a transparent desk pad. I used this one from IKEA. 1. I sprayed the bottom of the pad with Elmer's Glue Brand spray adhesive. 2. Then I positioned the pad sticky side up on the ground and rolled the wrapping paper over it. I made sure to line up the bottom edges for a nice straight line. 3. Next I cut off the roll part of the wrapping paper and flipped the mat over. 4. All that was left to do was to trim around the edges of the mat. All done! 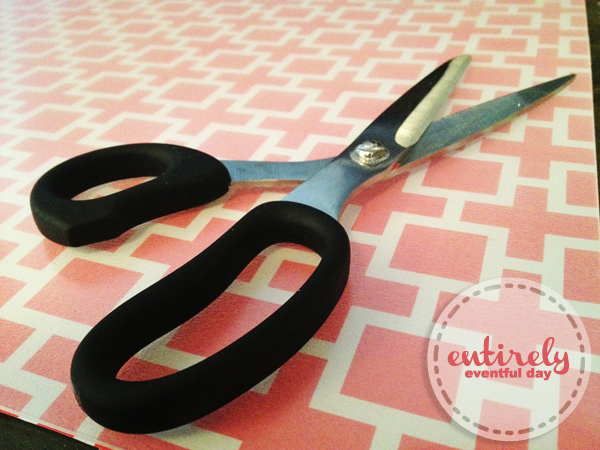 Note: You might need to add a little more spray adhesive to the corners once you have trimmed. 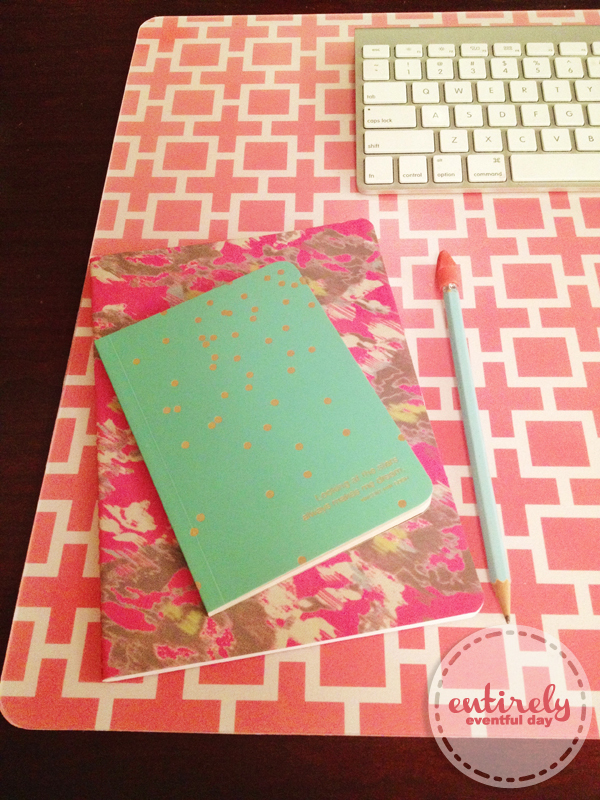 Oh, and you're going to want to run to Target and grab some coordinating notebooks. 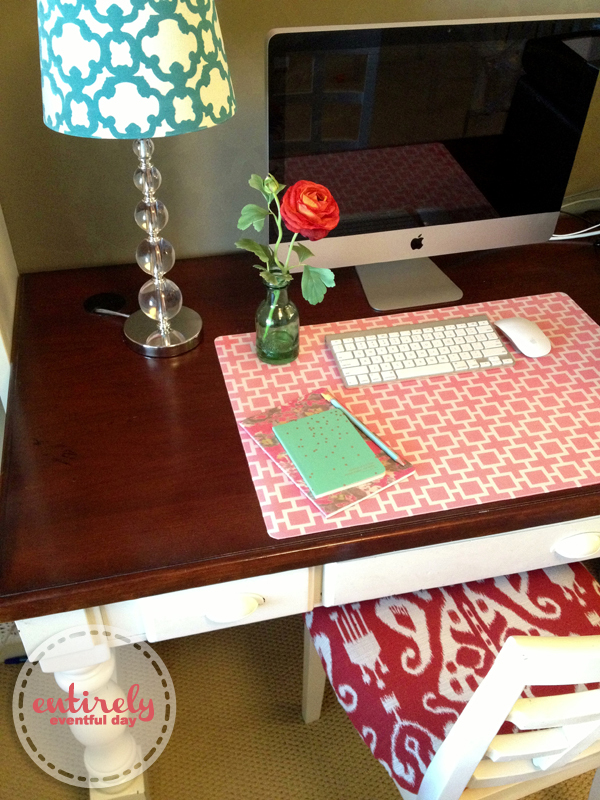 This was beyond easy and makes the biggest difference in my office!